Discount Cricket Outlet huge online store retail cricket bats from the world's top brands and we only choose the finest in cricket equipment. The cricket bats vary in size, weight and price accordingly with higher and lower middles to the bat. We employ specific people to hand select the best cricket bats available from each supplier, thus ensuring only the best bats leave our warehouse. Cricket bats are made from wood from a tree called the Cricket bat Willow (Salix alba caerulea). This willow has two qualities - it is quite light, but also quite tough. Perfect for a batsman to hold and hit the ball as hard as possible to the boundary. When a cricket bat is new, it can be artificially processed to be made "Match Ready" in cricket. There are two methods; applying linseed oil then knocking in the bat or applying a protective anti scuff face and knocking in the bat. You can either oil the bat or use a protective anti scuff face, you can not use these together. With linseed oil once applied it seeps into the cricket bat and slowly starts to dry and shrinks the fibres of the bat together, making the bat more durable. You can accelerate the "Match Ready" process by striking the oiled cricket bat or the bat with a protective anti scuff face with a cricket ball or a bat mallet. After hours of striking the bat, the fibres can become more durable. This process is called 'knocking-in'. Playing with a bat that hasnt been knocked in will cause the fibres of the willow to crack and ultimately break the bat over a period of time. Throughout cricketing history, people have tried to make cricket bats from different materials. In December 1979, Dennis Lillee came out to play in an Australia vs England test match using a bat made not of willow but of aluminium called ComBat. It was a new kind of bat that was tougher and lighter than willow bats. But after sometime, Lillee had to switch to an ordinary bat as the English side claimed that the ComBat damaged the cricket ball and rules were changed appropriately. Another innovation is to make the bat handle from carbon nano fibres. The handle becomes much lighter and the striking area heavier with more wood on the face of the cricket bat. The heavier the striking are, the more force it hits the ball with and ultimately the further the ball should travel. An innovation that was tried in 2005 by the Australian cricket team was to use a cricket bat coated with graphite. Graphite is light, yet it adds a lot of toughness to the bat. That means the bat can last for much longer, and you don't have to knock it in. The International Cricket Council did not accept this bat, on the grounds that other teams did not have access to this bat and it gained an unfair advantage. 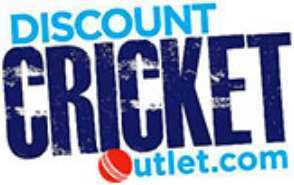 Discount Cricket Outlet stock a wide variety of cricket bats from the world’s finest cricket brands. Our selection of cricket bats encapsulate history, tradition and innovation as we work in conjunction with cricket brands from all over the world to provide cricketers with a variety of cricket bats to accommodate for every players needs. Size: Discount Cricket Outlet are able to offer a variety of sizes of cricket bats. From -1 for the aspiring junior cricketer taking his first steps in the game, to the senior size for a seasoned professional. Irrespective of your age and size, Discount Cricket Outlet can accommodate your needs to ensure your weapon of choice assists you on the pitch. Weight: Our cricket bats are specially selected by our staff to ensure we have the best bats available in our warehouse. After our rigorous selection process, we categorise these bats into three categories: Light (2lbs 7-9oz, Medium (2lbs 9-11oz) and Heavy (2lbs 11oz). Grade of the Willow: Cricket Bat grading allows cricketers to buy a cricket bat for their standard of cricket as well as their price range. The lower the grade, the higher the cost of the bat. For example, Grade 1+ willow is the highest quality willow you can purchase and is used by professionals. Below are the list of all the Grade Willows and their properties. Grade 1+ Willow: The best quality English Willow available on the market. Tested and used by international cricketers, this is the very best blemish free, unbleached, seasoned English Willow. Generally containing between 8-12 grains and would previously be saved specifically for sponsored cricketers but only recently have become readily available on the market for you to buy! Grade 1 Willow: Used by First Class Cricketer containing a slightly broader grain structure than the Grade 1+ Willow. A minimum of 6 grains should be visible on these blades with minimal marking/discoloration. Grade 2 Willow: A blade containing slightly irregular grain patterns which normally contains a larger amount of red wood on the edges which are visible. Some Grade 2 cricket bats can come with blemished, knots or speck and are suitable for the Premier League cricketer. Grade 3 Willow: Containing a minimum of 5 Grains on the face of each blade, a Grade 3 Cricket bat is perfect for the league cricketer often containing small knots and discoloration but provide excellent value for money. Kashmir Willow: Harder and dryer in nature, Kashmir Willow doesn’t perform as well or last as long as English Willow but is a perfect substitute for English Willow. Although it doesn’t have the same performance effect, they contain similar sweet spots to the English Willow. They are a more economical option and perfect for those starting out in the game. Grains: The willow which has narrow(more) grains tends to be softer which means it has excellent performance quality and is ready to perform straight away, but has a shorter life span. Whereas a willow with wider(less) grains has a longer lifespan but will take time to reach its optimal performance level. The perfect balance that we advise is between 7-10 grains for an amateur cricketer playing league cricket. Middle/Sweet Spot: Cricketers tend to balance where the sweet spot is located on the cricket bat to their style of play. For example, a predominantly front foot player would like to have a low sweet spot allowing them to play more shots with a vertical face such as the straight drive whereas the back foot dominant player would like to use a higher middle allowing them to play more horizontal bat shots such as the cut and pull. Now that we have discussed the performance and varying factors in cricket bats, we can start to discuss the different brands that we stock. With the world’s biggest brands available, there is no better place to search for your cricket bat than Discount Cricket Outlet. We stock the following Cricket bats: Adidas Cricket Bats, Gray Nicolls Cricket Bats, Gunn & Moore Cricket Bats, Kookaburra Cricket Bats, New Balance Cricket Bats, Puma Cricket Bats, Slacenger Cricket Bats, Spartan Cricket Bats. Note: The element will not take up any space when the display property set to "none".